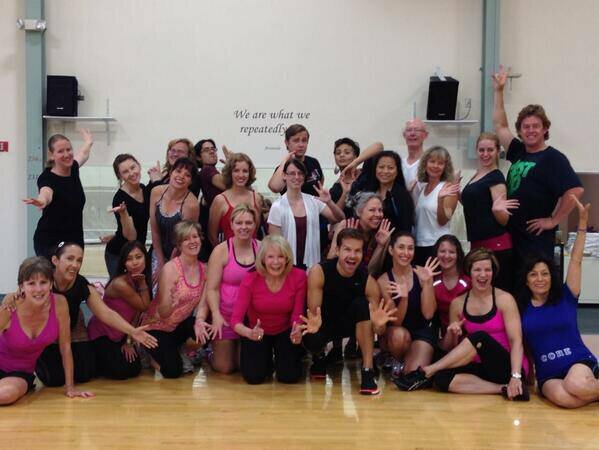 Last weekend, we had the great honor and pleasure to host and be trained by one of ballroom’s best, Mr. Louis Van Amstel! He was in our very own Albuquerque, New Mexico June 28 through June 30th training instructors for his new, innovative workout system called LaBlast. “LaWHAT?” you might be thinking. Well, we’ll tell you about it. LaBlast is a dance fitness program based on all the dances you see on Dancing with the Stars. It’s partner-free and uses a wide variety of music. The unique thing about this program is that it fuses a fitness routine into actual dance training. As we’ve mentioned before, the American Heart Association recognizes ballroom dance as the number one exercise for heart health. However, in your traditional ballroom dance class, rarely will you break a sweat. You’ll still receive great health benefits, but not necessarily weight loss benefits. With LaBlast, Louis has taken the fun of learning to dance and put it into a format where you will see the type of cardio that you would get at the gym. Now that you know what LaBlast is, let’s tell you about our training weekend. For two days of eight hours each, we were inundated with the ins and outs of this program. We learned the dance steps and how to put together routines, as well as how to structure the classes in the best way so that our students are receiving the fun and benefits that they’re looking for. One of the most interesting things about this training is that we were taught the types of things fitness instructors learn in their ACE and AFFA certifications, i.e. safety and injury prevention; what the five components of physical fitness are; optimal exercise intensity, duration, and frequency; and a whole host of other things. On top of that, we weren’t just taught the moves, but also various teaching techniques and styles. All in all, this is one of the most well-rounded programs I have ever experienced. So how can you experience the LaBlast program for yourself? If you live in the Albuquerque area, there are now 28 trained and qualified instructors that will get you movin’ and groovin’. 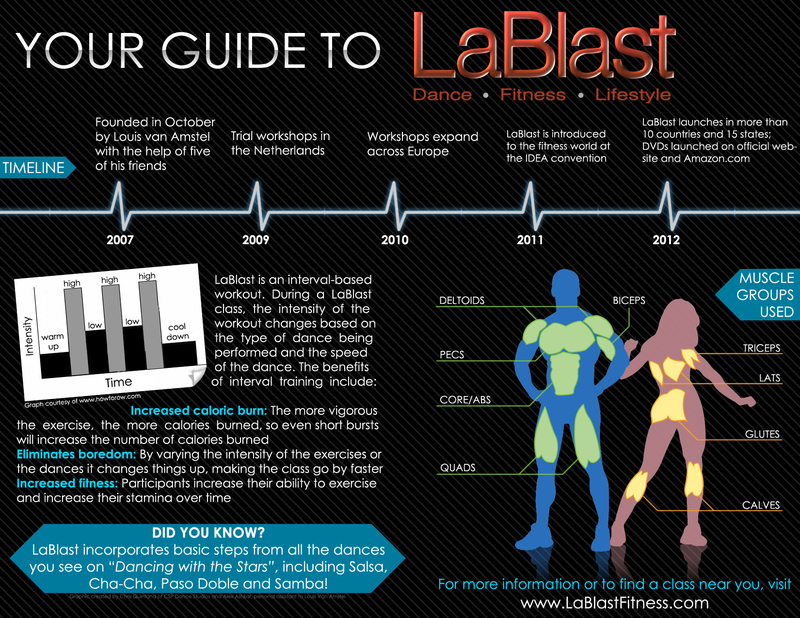 To find a LaBlast instructor in your area, you can visit http://www.lablastfitness.com/locations/. Since our training was just last weekend, it may take a week or two for Albuquerque to show up on the site; in that case, call 505-883-9521 to join a class in Albuquerque today. One final note: with a great workout program comes great workout clothes. Louis has created a new clothing line, LVA, which provides women of all shapes and sizes with comfortable, fashionable workout attire. To get your hands on these great fashions, visit http://goo.gl/dngsj.